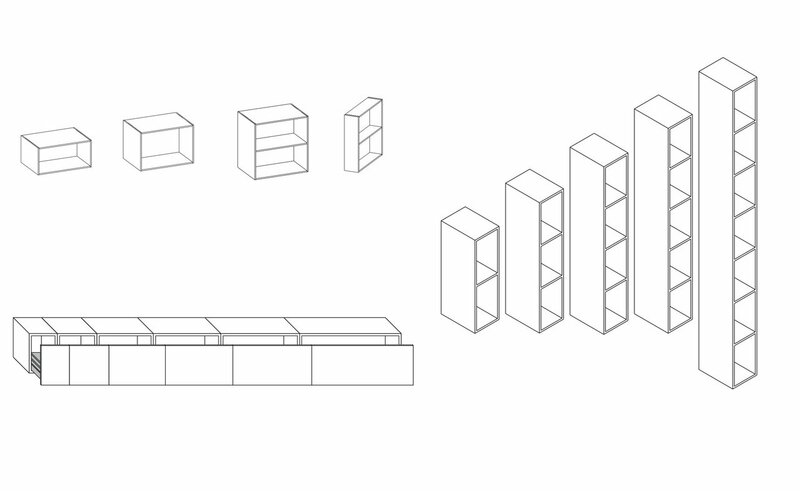 A stunningly original and cutting-edge furniture set which will make a dramatic statement in any bathroom. Again, the inspiration is organic, the stacked cubist shapes redolent of the layered strata of a cliff edge or mountain face. This set is completed by a frameless rectangular mirror (900w x 700h mm / 35.5 x 27.5 in) with an overhead LED light, for makeup, shaving and other vital bathroom functions. 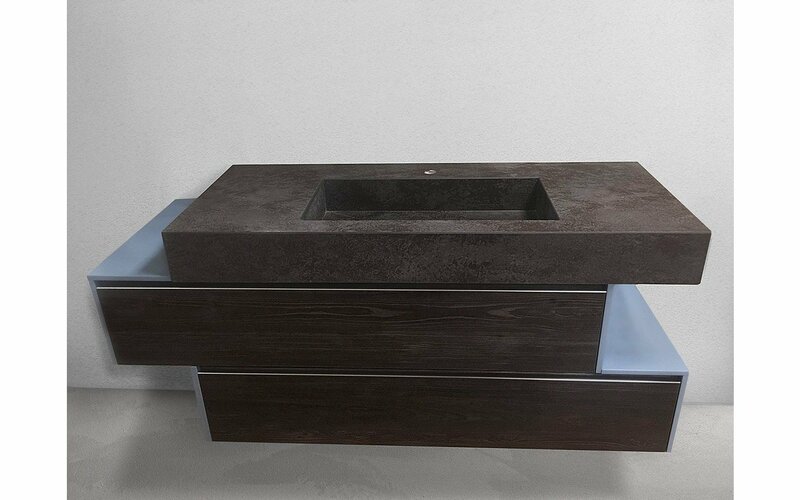 The worktop and built-in lavatory has been crafted from superb Black Oxide composite. This innovative ceramic composite is made from a mixture of crushed clay, granite, rock and ceramic pigments that is combined under extreme temperature and pressure. 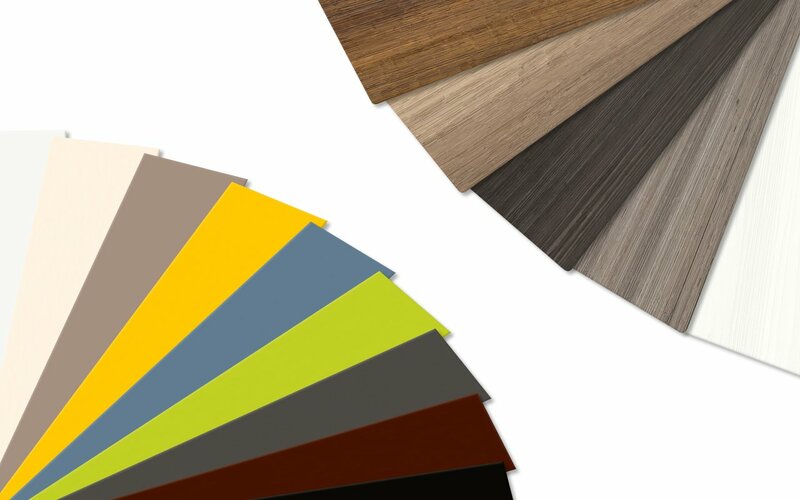 The result is a state of the art material that is incredibly tough, with homogeneous color throughout. 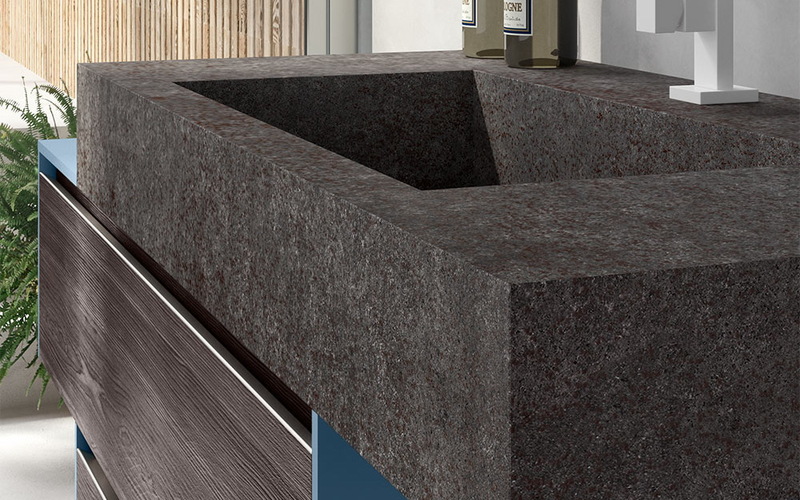 Here, the elemental black tones are the perfect choice for the deep, hard edged, angular design of this urban inspired top, with its large, rectangular built-in basin. The design is deceptive in its simplicity. 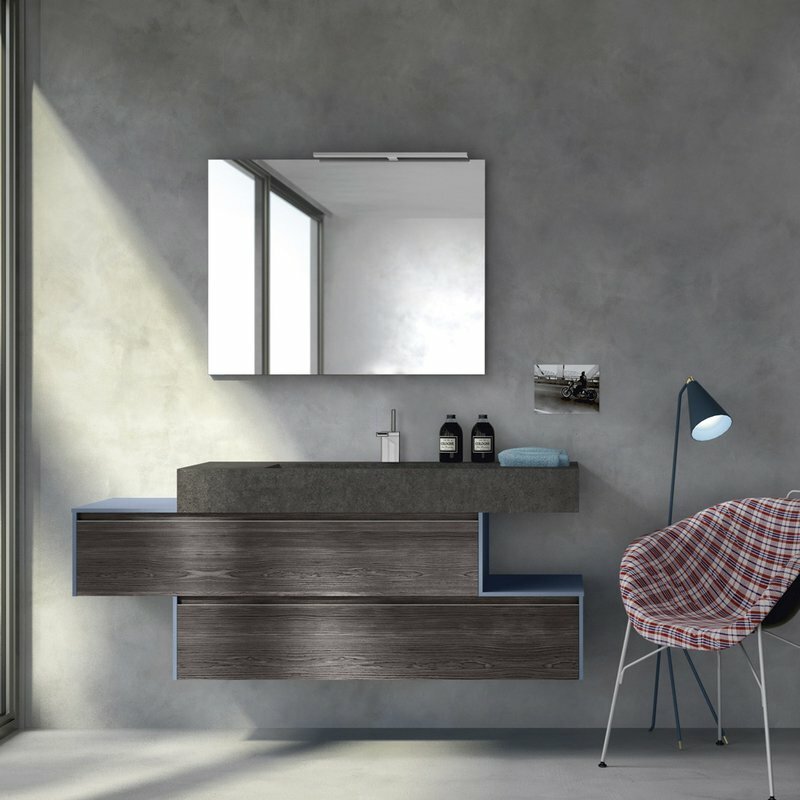 Wall-mounted, it creates a dynamic paradox between the solid, staggered shapes of the basin console and cabinetry which at the same time appear to float. 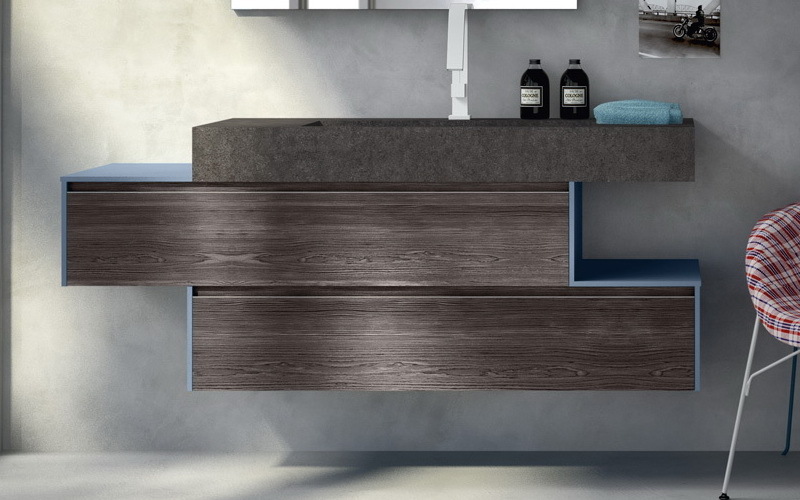 The basin is ‘supported’ below by staggered cabinetry that features complementary dark brown veneer drawer fronts, beautifully offset by the blue grey lacquered top and side panels. The clip handles feature a slim, metallic, contrast top strip. 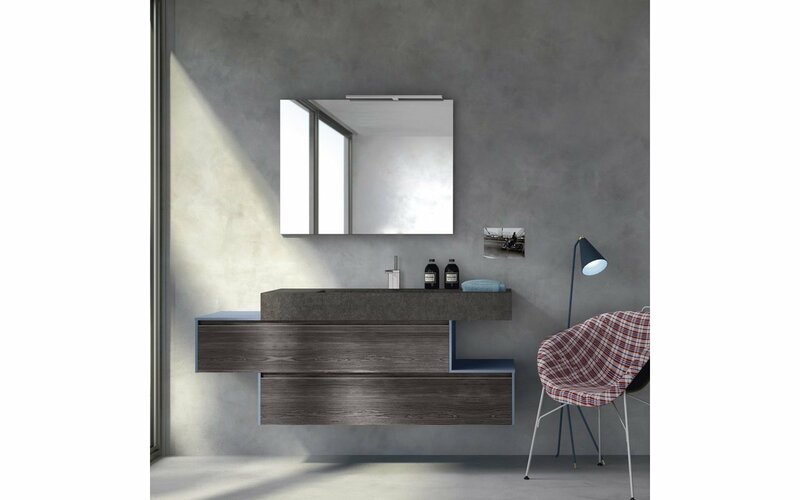 ark brown veneer drawer cabinets is a new, elegant finish with a vintage twist, which gives a new interpretation of the typical veneers of sandblasted spruce wood in a wide range of colours. A pleasantly evocative solution, which maintains the the distinctive Cleaf style in the most traditional aesthetic modules, in a perfectly contemporary vision.